I've been practicing with the Copics again. 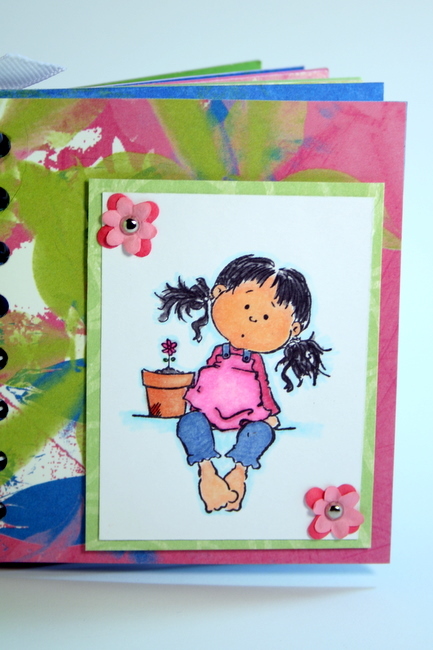 Here's another image from the Wonder and Joy Stamp Set from The Angel Company. This little girl is so very cute with her pigtails and bare feet! The image is matted and layered with the Lilly Anna Paper Collection, also from The Angel Company. And the flowers are a reminder that winter will be gone before we know it and spring flowers will be popping up all over! Super cute! Great job on your coloring!